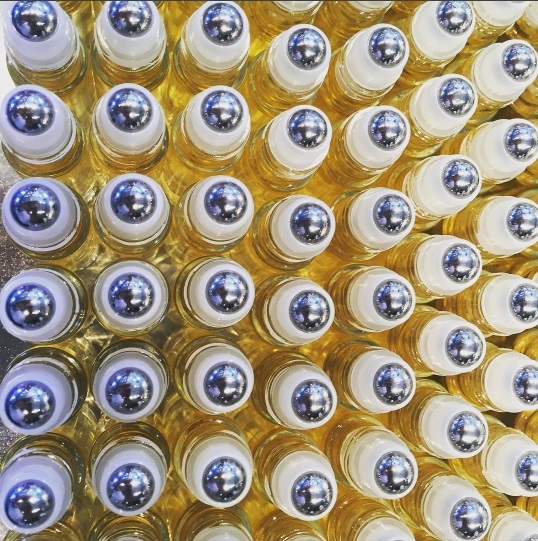 If you’ve made an order for a 10ml Roll-On Essence over the past few months, you have probably noticed that Ambre Blends has made the switch from plastic rollerballs to stainless steel. We are so excited to be moving away from plastic and to these surgical-grade stainless steel rollerballs for a variety of reasons. First and foremost, the stainless steel balls are more sanitary. We want to ensure that we are giving our customers a high-quality product that will last, just like our essences. Stainless steel rollerballs tend to hold up over time better than plastic. One common complaint we received about the plastic rollerballs was that they would get stuck or clogged. When the plastic ball gets stuck, it can cause scratches to the surface of your skin, which eventually can lead to a rash. With the stainless steel rollerballs, you don’t have to worry about scratches since it rolls over your skin smoothly every time. If the rollerball gets clogged, it could potentially change the scent and integrity of the oil. We always encourage our customers to purchase the 30ml refill bottles of oil essence to save money and the environment. The more you refill your 10ml Roll-On, the more likely the plastic rollerballs are to get stuck, which is another reason for switching to stainless steel. Another thing we noticed about the plastic rollerballs was that over time the plastic rollers would dispense less oil. This explains why it feels like such a drastic change in the amount of oil that is dispensed with the new Roll-Ons. While we can’t control how the oil comes out of the new rollerballs, we want our customers to keep conservation in mind. Instead of rolling the oil essence all the way up and down your arm, a small roll of oil followed by rubbing your forearms together will activate the scent. Or even just a dab on each arm will do! We’re always looking for ways to improve our products and packaging to be more beneficial to our customers as well as environmentally-friendly. We believe that switching from plastic to stainless steel is one way we can do both!